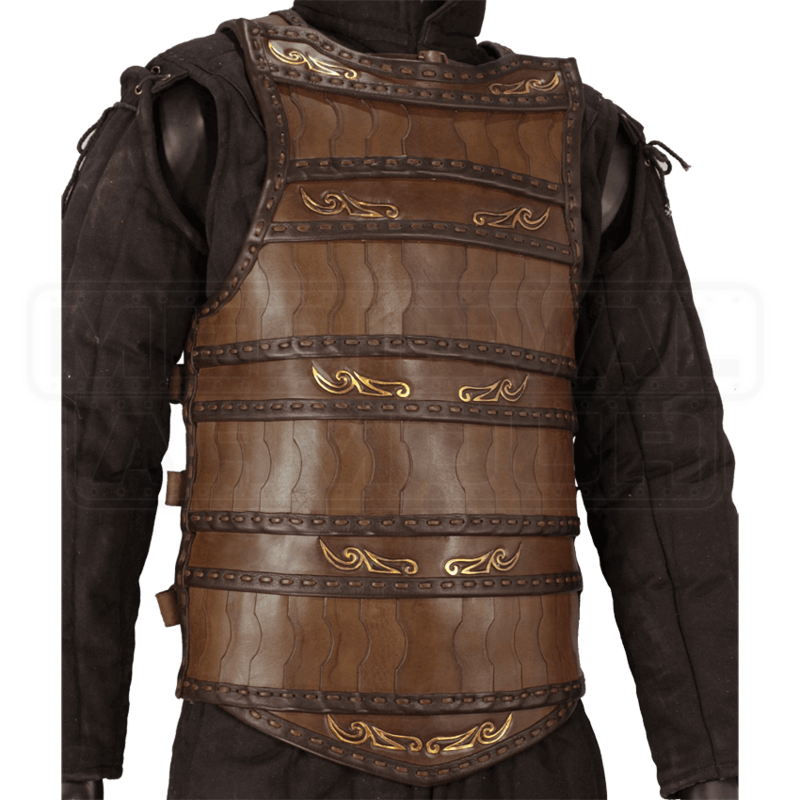 Our Celtic Lamellar Leather Armour has a very unique design with a spin on the traditional look. Each scale is hourglass shaped. The center of the chest starts on top with each piece descending for a nice symmetrical design. 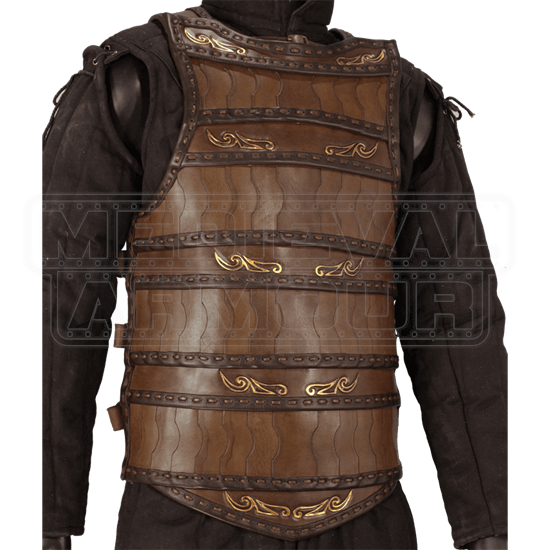 In between lamellar segments, there are sections of leather that have gold painted Celtic designs that really set this armour apart from the others. The Celtic Lamellar has three straps and buckles on each side for great adjustability. There is also an extra length of leather on each side that can be wrapped around the body and tucked into the back for total side coverage. This armour is crafted from 7-8 oz. leather and is perfect for LARP, theatrical productions, costumes events, and the SCA when worn over chainmail. Available in black or brown leather.